Lol, this Danku can talk for Africa sha., like seriously? LMAO. I’m sure if Oritsefemi is asked to speak on this now, he would say it is a lie. Can someone just learn to keep quiet, like seriously, loooooool. This is taking a piss. So Sunday Scoop took a step to ask Danku, Oritsefemi’s former manager why he was absent at the singer’s wedding, and Danku exploded as usual. He said; “I was invited for the wedding but I was quite busy and I had to attend some business meetings. I wish him well, and I pray that God would bless their marriage. I don’t think there is any big deal about me not attending the wedding. If there was any issue between us, I would let you know. We are on good terms. 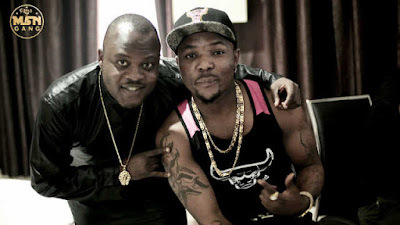 I don’t regret anything I did for Oritsefemi in the past. I met him when he was nothing and I was able to build him up; I thank God for that privilege. The good thing is that we are both doing well in our careers now,” he said.